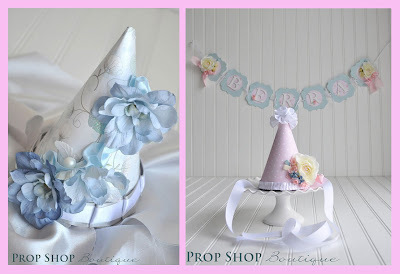 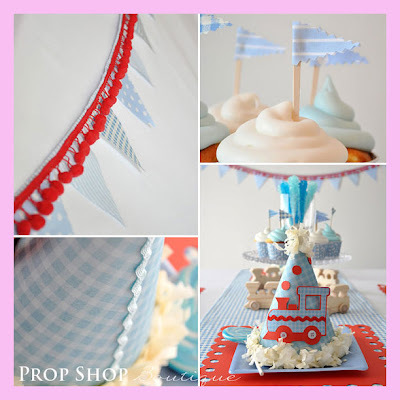 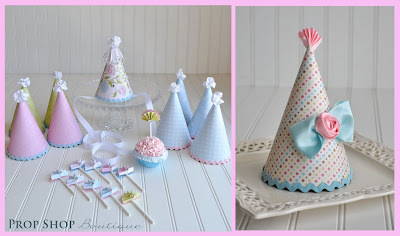 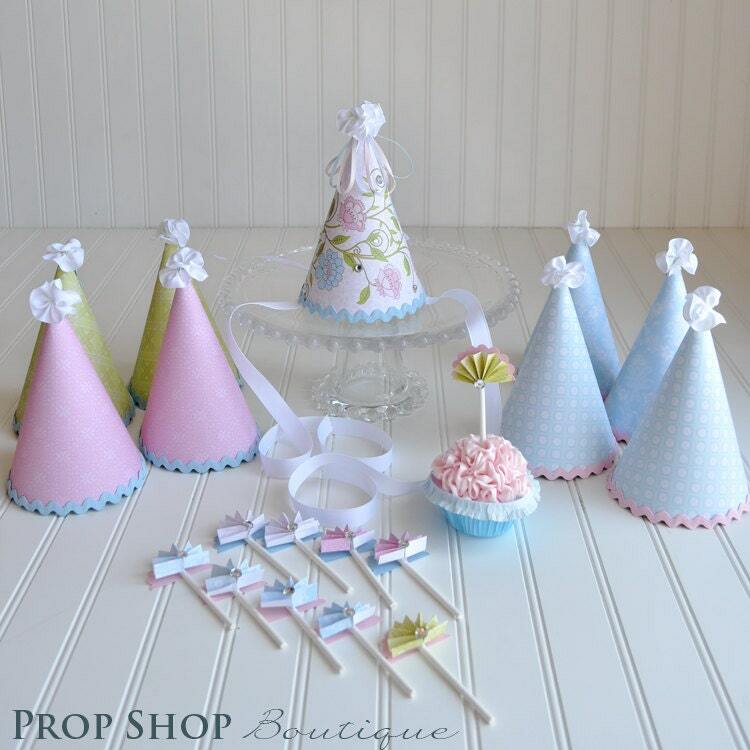 The party hats and cupcake toppers from Prop Shop Boutique have to be one of the cutest I've seen! 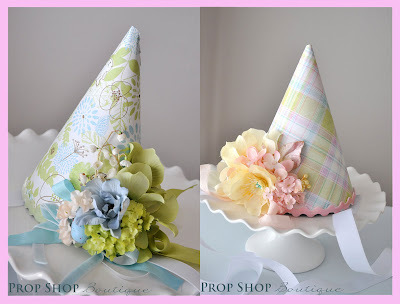 I love the way Jessica coordinates the patterns, colors and trim. 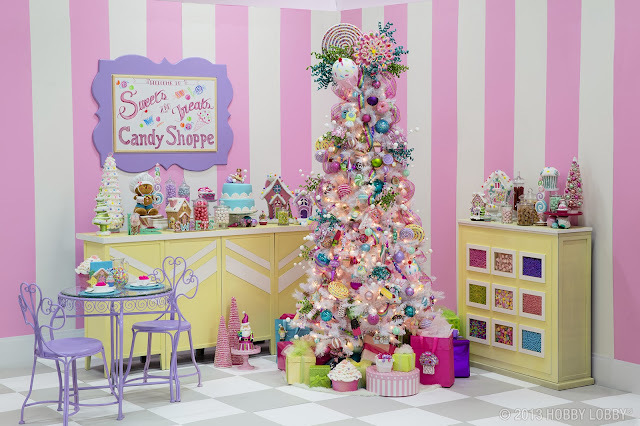 After seeing her work, I wanted to get to know her a little more and she was so kind to give me an interview! 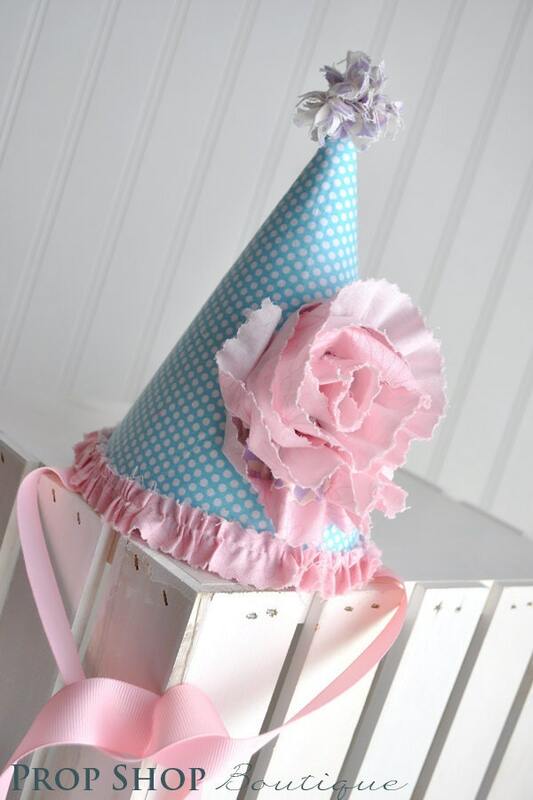 "After working in the photo industry for 8 years, I quit my job to be a stay at home mom once my third child was born. I've always been a crafty person, but my passion for event planning, specifically children's Birthday parties, came from planning and designing parties for my own children." 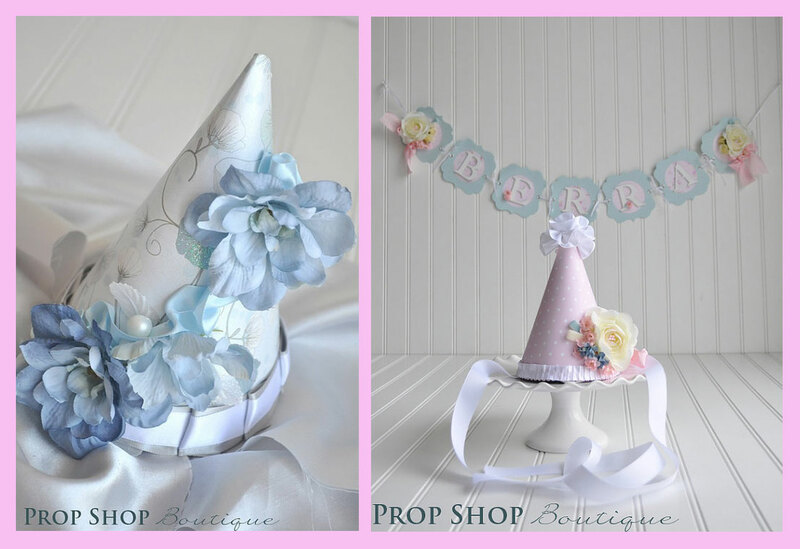 "With my photography background and passion for both photo styling and event planning, the two really came together to form Prop Shop Boutique. 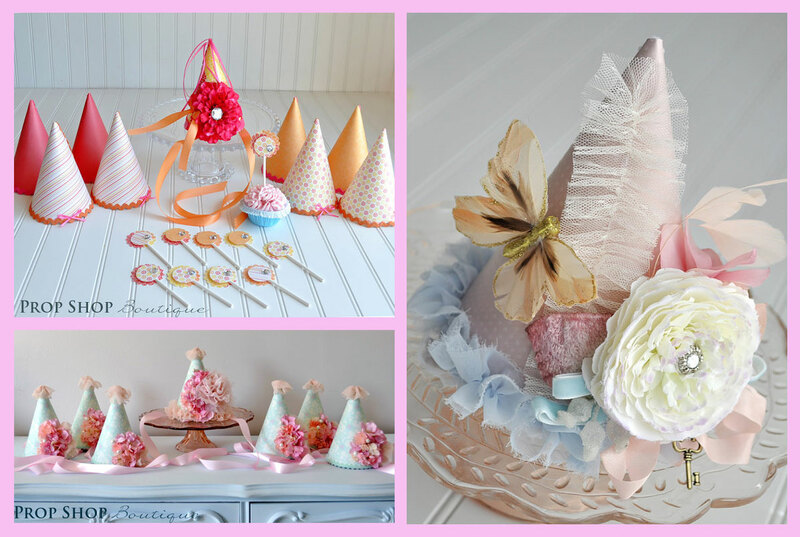 In addition, with two little girly girls at home, I'd say my designs are inspired from both my girls- to create unique, simple but soft and pretty designs- and can't forget the ruffles!!" 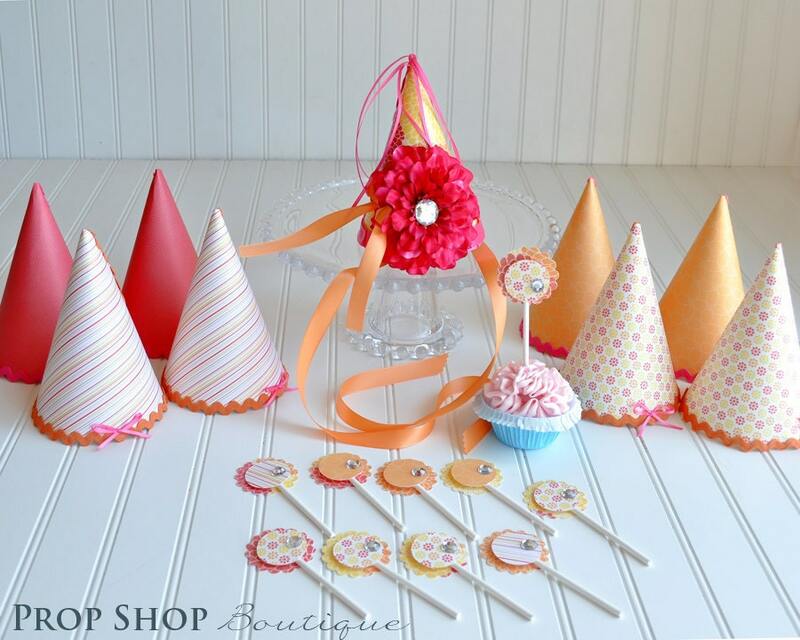 Most people would design party hats and cupcake toppers around their chosen theme but I could see myself doing the opposite by choosing a party theme based off of Jessica's designs! 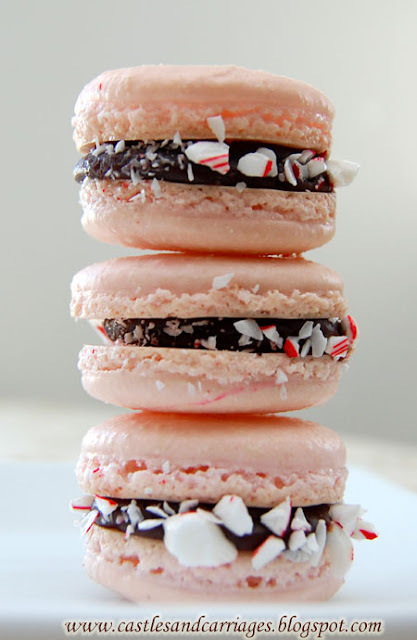 Isn't that something?